Districts: Nho Quan, Gia Vien, Hoa Lu, Yen Mo, Yen Khanh, Kim Son. Ninh Binh is located to the south of the Northern Delta, between the Red and Ma Rivers. It is bordered by Nam Dinh, Ha Nam, Hoa Binh, and Thanh Hoa Provinces.The annual average temperature is 23.4°C. The population is made up of 23 ethnic communities, among which the Kinh account for more than 98%. The rest of the population consists of the Muong, Tay, Nung, Thai, Hoa, and Dao ethnic groups. Economic potentialities: limestone, marine resources. The old city of Ninh Binh is one of many famous historical sites in Vietnam. Other sites in this area include Hoa Lu Citadel, Nhat Tu Pagoda, and Can Linh Pagoda. Transport: Ninh Binh is 91km from Hanoi. Express train connections with Hanoi (Limited allocation of tickets) and regular bus connections with Hanoi's South Bus Station. Cuc Phuong - Vietnam's first national park was established on July 7th 1962. It is located 120 km South - West of Hanoi on the land area of 22.200 ha, among three provinces: Ninh Binh, Hoa binh and Thanh hoa. 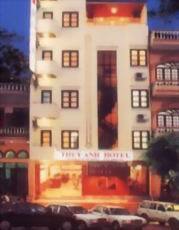 Hotel The Long has an architecture like the architecture of Hue ’s royal palaces. Its square is 2000 m2. Located is in center of Tam Coc – Bich Dong. Opposing with River Ngo Dong is the wharf Tam Coc. It is very interesting to enjoy fresh air, look wonderful scenery, poetic mountains, rivers and rice fields. Hotel The Long promises to give you a lot of wonderful and memorable things. - Ninh Binh is located south of the Northern Delta, between the Red and Ma Rivers. It is bordered by Nam Dinh, Ha Nam, Hoa Binh, and Thanh Hoa provinces. The population is made up of 23 ethnic communities, among which the Kinh account for more than 98%. The rest of the population consists of the Muong, Tay, Nung, Tai, Hoa, and Dao ethnic groups. - The subdelta climate, with an annual average temperature of 23?C, is divided into two seasons: the dry season from November to April, and the rainy season from May to October.